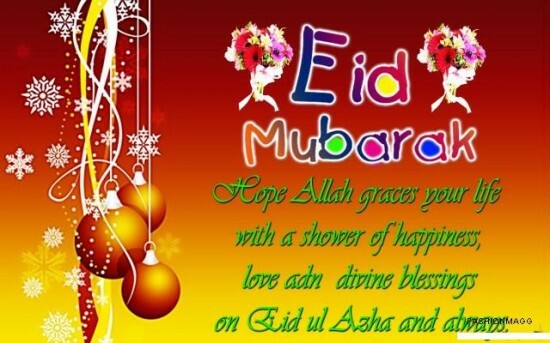 Eid ul Adha is one of two Eids which believers celebrate all over the world. Eid means a day of happiness which God has ordered for people to enjoy by eating,drinking,gathering together and by praying to Him. It's an occasion of great rejoicing. Eid ul Adha is a day when we remember and follow the Friend of God,Abraham (Peace be upon him) who was ready to sacrifice his son on God's order.This was a great test but Abraham (Peace be upon him) passed it so God lasted his remembrance in good people and believers will continue to praise his bravery till day of Judgement as such is reward of God for the true believers who are obedient. In the memory of Abraham (Peace be upon him),believers all over the world sacrifice their desires by obeying God.They do this by spending money (which they love) in the way their Lord ordered which is by sacrificing an animal from the allowed animals and distributing it to the community with no prejudice and eating from it also. Fitrana is also offered before sacrifice which is only for very needy people and it's obligatory for everyone even for a kid which is distributed by families.It is a little money to be shared with the poor to allow them celebrate Eid (but if Zakat is established,there would be no needy in the world except for greedy). 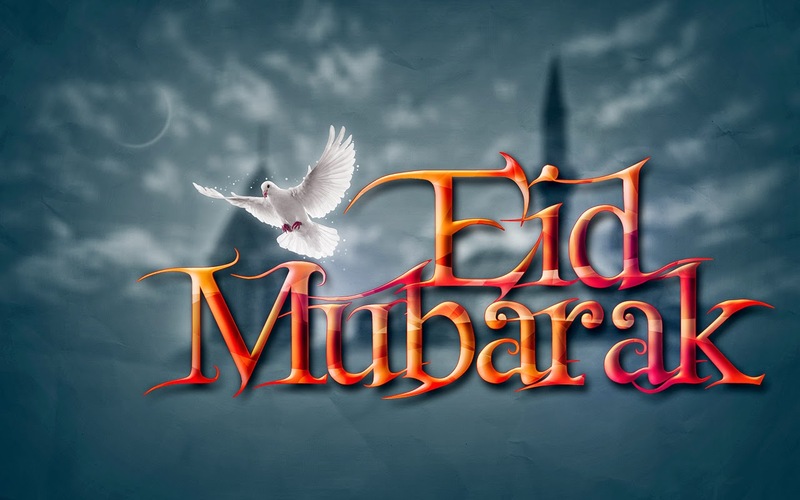 Mostly Eid is celebrated in sub-continent a day later than the holy cities of Makkah and Madinah in blessed Saudi Arabia.There is a holiday of at least 3 days (mostly a week) in Muslim lands. The day begins,when Muslim pray Eid prayers in congregation in open land or in mosque. People greet 'Eid Mubarak' (Happy Eid) and hug each other.Then they return and sacrifice animal. Women usually meet other women and greet Eid mubarak.Then they cook special food for Eid.People pay visit to relatives and friend's home. 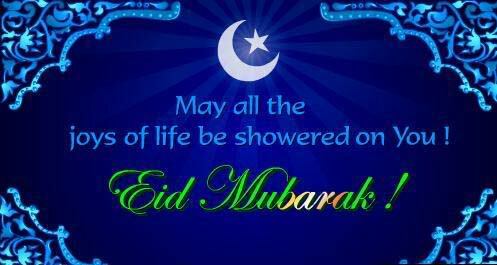 Unlike disbeliever's festivals,Eid is never filled with immodest acts.It's carried under rules of God and it is also a kind of worship as a person obeys God while enjoying. The most happy are the children on Eid because they receive Eidi (a little money offered to them by relatives and friends.The money offered is a huge amount for kids and they keep telling about Eidi all the year. 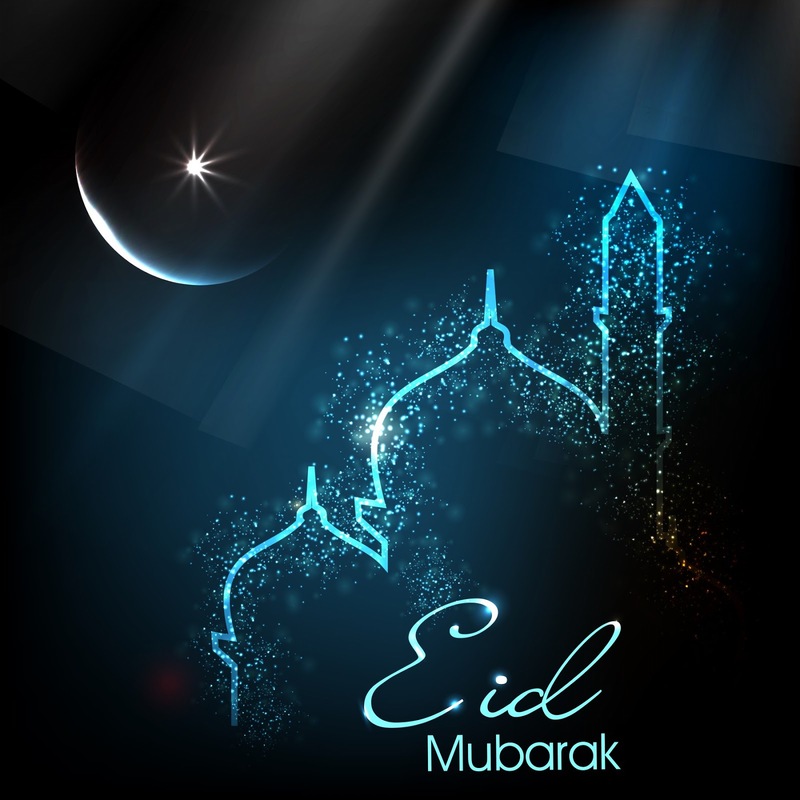 In short,Eid is the best festival gifted by God to true believers. A very viral and popular app in these days is Eid Mubarak Photo frame.The app lets users have Eid wishes frames with their pictures in them. certainly it's a great work done for those who are busy in Eid celebrations. Don't miss the opportunity and get that popular application now.